Most of us (by ‘us’ I loosely mean those who are steadily employed in the philanthropy sector) are not poor, but we write and talk about poverty. Many of us are middle-aged or beyond, but we write and talk about young people. We cudgel our brains to understand social movements and how to reach them, while our thought processes and behaviour patterns were formed by, and are attuned to, the structure of institutions. No wonder that these groups continue to present an enigma to the sector. It’s a bit like asking the Dalai Lama to write about football. When we invite them to our gatherings, we either yammer at them uncritically or give them 10 minutes on the microphone, applaud effusively….then go back to talking to each other. Of course, sympathetic study can equip you with some insight but, fundamentally, our experience is remote from theirs. We also go on and on about giving voice to the voiceless, yet, even when we allow them to speak, we mediate what they say through our reports and articles and in our own terms and in such a way that – god help us! – none of them would read it. In other words, we’re not talking to them, we’re talking about them to a small group of peers. So what’s to be done? We are what we are. We can’t slough off our experiences and assume those of someone else. I don’t have any pat answers, but we could, for instance, try relinquishing the means of expression just for a while. Why don’t we give our blogs, our publications or our websites over to the young or the poor or those who are otherwise knocking on a stubbornly closed door, even if for just one edition? And if they can’t write in the pseudo-academic argot we’ve come to prefer – and let’s hope they can’t – they can find their own means of expression: photos, poems, songs, videos, drawings. I’m not sure how this would work, but we’re always patting ourselves on the back about our imagination and our flexibility, so it ought not to be beyond us. The more pernickety of the editorial community who can’t bear to split an infinitive, begin a sentence with a conjunction, or end one with a preposition could be sent off on holiday (but, please – not to the same place!) for the duration. Whatever form it takes, I think we have to make some effort. The alternative is that we become more and more estranged from those we purport to work for, increasingly ancient mariners marooned on a small island without the will or the means to build new boats, so we fall back on rehashing our own experiences of the sea. And the title of this rant? 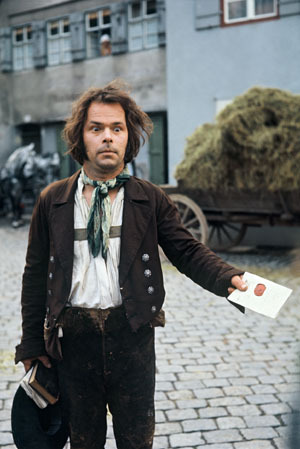 Kaspar Hauser turned up in Nuremberg one day in 1828, an adolescent who carried a letter claiming he had been brought up in locked cell and had had no contact with anyone but the letter’s anonymous author. His vocabulary appeared limited and he could give no account of himself. The mystery surrounding his antecedents was never elucidated. In the present case, we are Kaspar Hauser. The difference is that our isolation is voluntary and it is in the outside world that the enigma lies. Time for us to find the key to our cell. Andrew Milner is an associate of PSJP and associate editor of Alliance magazine. This post was published first on Alliance magazine.